LUNDs FX-Flat StyleTM fender flares create a low-profile, built-in appearance. 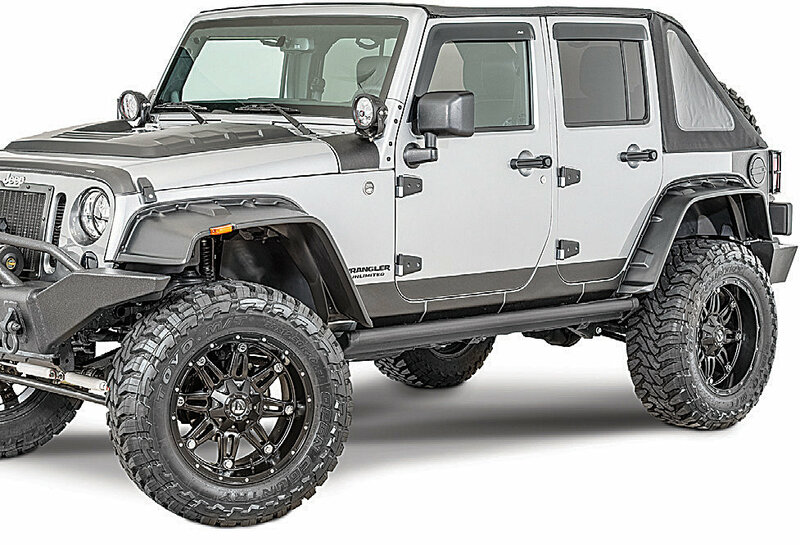 Designed for larger tires and wheels, and will transform your Wrangler into an off-road, rugged-appearing machine, while shielding your paint from road debris. These flares also feature an inner liner that fully encloses the underside of the flares, providing a clean look and protecting exposed sheet metal in the wheel well. 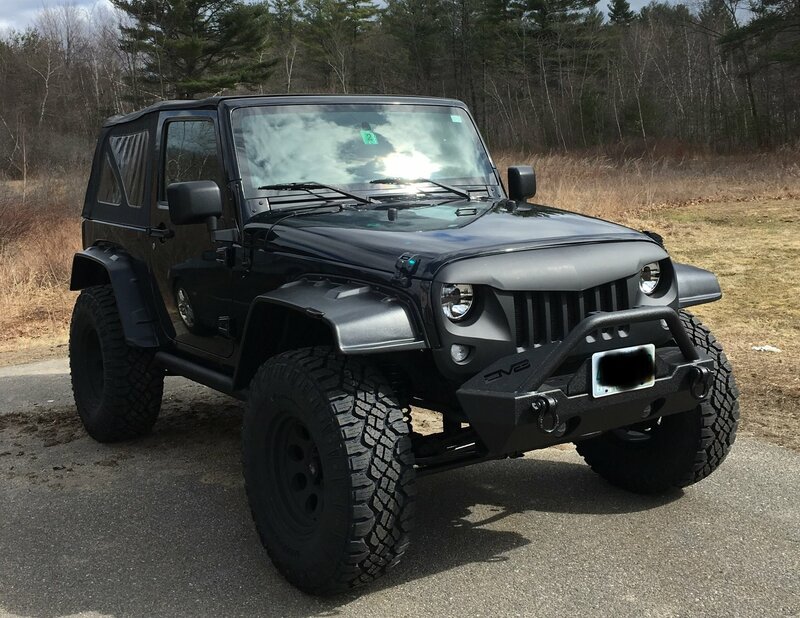 Easy to install with no drilling required, LUND FX-Flat Style fender flares mount to existing factory drilled holes and are available in a textured black or smooth black finish.These flares are built to last and are backed by a Limited Lifetime Warranty. 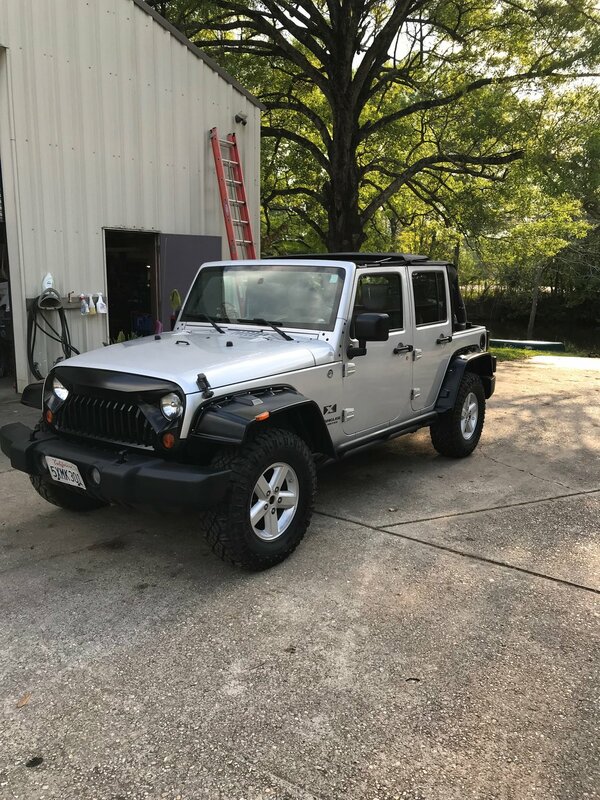 Installed these on my 2007 Jeep and they look Good! But before you buy and if you do buy know the following. Instructions came in Spanish. Downloaded and printed the English version which were not 100% accurate. Especially for the rear where it got numbers wrong and changed names of items. Before you start be prepared to go buy some hardware. There should be 34 stainless steel bolts mine only came with 32. So, count and purchase at least 1 extra and if you only have 32 don’t forget washers for the 2 missing. The bolt you use to install rivets sheered after the 3rd rivet. I would suggest that you go purchase 31 of those bolts as they are prone to sheer on every rivet installed. On the front there is 1 bolt on each side that can be reached so purchase 2 stainless steel nuts and washers. This will give you 2 extra rivets (which you may end up needing). Buy a bag of 50 of the Christmas tree fasteners. Trying to save them when pulling is not worth the effort and also helps with holding while marking for trimming. When installing the rivets have a friend to help and take it slow. Tighten the bolt into the rivet as tight as possible but as soon as you feel a change in the pressure stop, carefully and slowly remove the bolt. By change in pressure I mean you will feel steadily increasing pressure that will suddenly give. This is the bolt sheering which may not be visible to they naked eye once removed. Which is why I recommend a new bolt for every rivet. After removing the bolt use a tap to carefully rethread and remove the shavings from the rivet before trying to install the bolts. On the rear fenders the front 3 bolts go in at an awkward angle. Take your time and don’t force them in. it helps to temporarily put them in before installing the fender so you can visualize the angle when you install the fender. Other than drilling the hole for the “self tapping screw” and trimming the shield I would avoid power tools. The aluminum and stainless steel don’t react well to heat. The fenders look pretty decent when installed. The reason for the low rating is 1) the directions were only in Spanish, 2) the blinkers were missing, 3) multiple rivets stripped out (no extras were included), 4) the holes line up poorly and I had to alter every one of the fenders to make them fit, 5) there was a pair of scissors in the box, which indicates this was a return that wasn't checked for missing parts. I would have given a lower rating, but Rampage (Lund International) was very helpful and will be shipping the blinkers and some extra rivets.